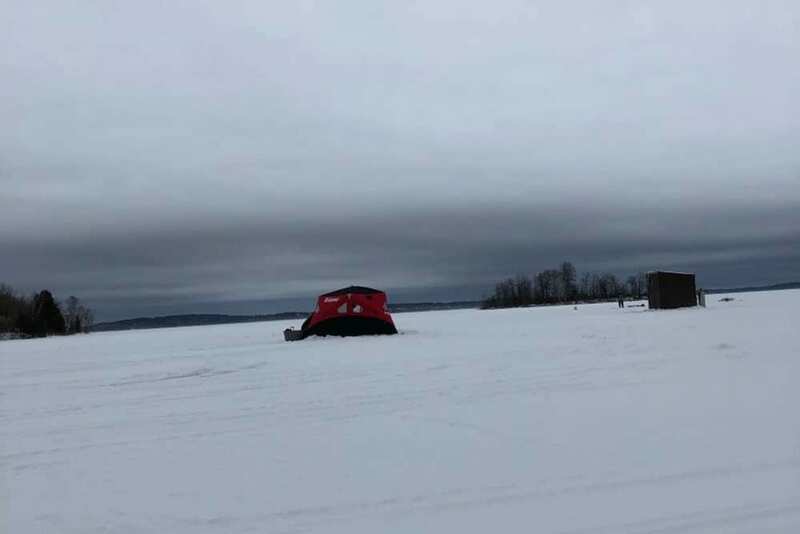 Lake Vermilion hard water season is here, with ice ranging anywhere between 5 to almost 8 inches, but there is still some variability based on location so use caution. Eric got out Sunday thinking he could forgo the shack as the temp was reasonable, only to find the wind less than cooperative. At any rate, nice walleyes have been caught on good size minnows with the usual narrow active windows and long periods of minimal action. A handful of permanent houses have been set up and we got another 5 inches of new snow in the past couple days, so winter is here to stay. Overnight low will fall below zero in the next couple days. We have had some calls for ice shack rentals. While we we don’t offer that service, Fortune Bay had several shacks last season. Give them a call if you are looking to rent a shack.